Please note… EthicallyMAD does not work with anyone. Your business must be actively working to reduce its social and environmental footprint, (or at least intend to). Casual Skype based consulting rates are $395/hour. However below are a range of packages that are at a discounted rate. Remember, my job is to ensure I make you more than I cost you. And if I can’t see a way to do that, then you don’t pay anything. However, if you cannot afford our services, but want to work together, then click here to see if you qualify to apply for our partnership program. 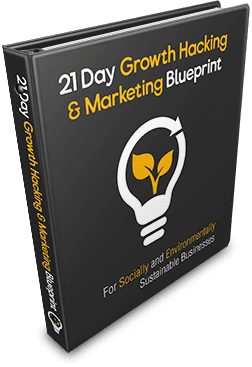 Get a custom designed marketing and growth plan to suit your unique business. As every business is different, and there is no one set of strategies that work for all, we will craft one based on what yours offers, its size, its goals, and of course, its budget. Suggestions for social and environmental sustainability. We would not be EthicallyMAD if we did not share our observations for reducing your negative social and environmental impact, or identifying areas you could make a positive difference. Many of these ideas will actually reduce your costs too, or make your business more profitable in the long term. They can also help increase your ‘green credentials’, which can be used to enhance your marketing efforts (as well as making you, your team, and your customers, feel better about your business). If you are looking for a bit more guidance then consider having Leon personally mentor and coach you. Leon has served as Director of Marketing for an international online personal development company, setup and established an affiliate program for another similar business, conducted multiple six and seven figure product launches, built an online automated marketing platform (including designing the first ever drag and drop sales and email marketing funnel systems), spoken on business stages around the world, ran his own marketing seminars, authored five books on business, and helped many business owners increase their profits. Now you can benefit from his no BS style, and have his years of knowledge and experience turned to your business. Leon will focus on your business twice a month for at least 3-4 hours. During this time he will review your business, progress made, and what should be done next. At least 1-2 hours of this time will be used for a Skype meeting with you or your team. In addition to this, you will get access to Leon between sessions via phone or email should you need any emergency advice. Brainstorming buddy. Even the greatest minds on the planet benefit from speaking to other great thinkers. Flaws in thinking are identified and many mistakes are avoided because of it. Ideas grow far beyond what any single individual alone can conceive (even Einstein’s concepts developed thanks to conversations with other people). Review. Whether a marketing plan, a new sales funnel, a product idea, a mission statement, or a piece of copy, having a second set of eyes check through for weaknesses or areas of improvement can make all the difference. Accountability. Being held accountable is key to many business owners success. Leon will help keep you on track by working with you to create clear goals, action plans, and commitments. Accountability is key in maximizing results in the shortest possible time, and for most business owners this can be the difference between success and failure. Expanded network. A business is only as strong as its network. The truth is, a large percentage of success comes from who you know. From suppliers, distributors, partners, or the talent and advice you have access to, they all make a difference in your ability to succeed. Benefit from Leon’s years of industry contacts, and make his expanded network part of yours. Support. Business is not always easy, and at times can be incredibly stressful. Having someone you can talk to who understands the stresses and difficulties you face can really help take the load off, and help you to keep going when you least feel like it.